The individually designed bedrooms have been furnished to make every guest’s stay pleasant and comfortable. There are 18 bedrooms in all, ranging from single rooms, standard and superior doubles, larger executive rooms and a four poster*. 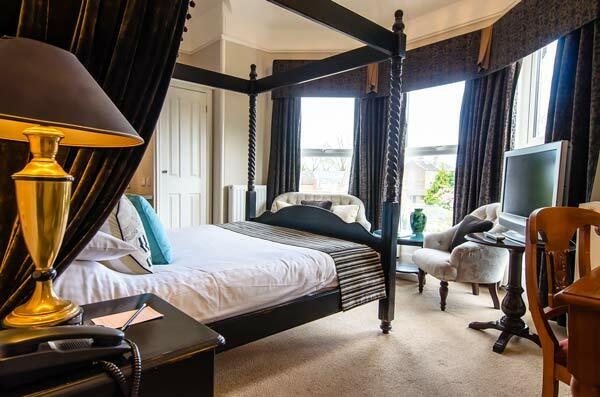 All rooms are en-suite and have all the modern facilities expected. *We have a four poster room with a spa bath. Please contact the hotel direct to check availability. We have certain rooms that can accommodate dogs for a fee. Please call us before booking to check availability.